seeds as well as the spring blooms. This form (left & above) is an heirloom variety found in northern New Mexico, thought to have come from Spain. It has been given the cultivar name, 'Carmen'. 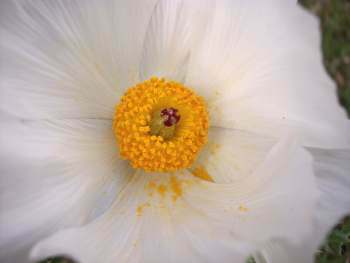 Argemone mexicana - Mexican Poppy, Prickly Poppy - Annual - A "Georgia O'Keefe" flower, native to our area. Many call this plant a weed, but a few specimens are beautiful with ornamental grasses or in a dry garden with cacti and succulents. Excess seedlings are best removed when they are small. Eomecon chionantha - Snow Poppy - Perennial - Though native to China, this low-growing groundcover thrives in central Texas in shady sites. It spreads by underground stems, soon filling a bed with its snow-white blooms in spring. Like other members of this family, it has few, if any, pests or diseases. Eschscholzia californica - California Poppy - Self-Sowing Winter Annual - This western wildflower is one of the ideal companions for the Texas Bluebonnet or beautiful as a single species mass planting. Needs full sun and well-drained soils. Sow in September and provide water every two weeks during a dry winter. 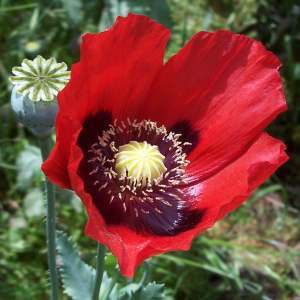 Papaver somniferum - Opium Poppy, Poppyseed Poppy - Self-Sowing Winter Annual - An old-fashioned, self-sowing, cool-season annual often seen in long-cultivated gardens in the older parts of San Antonio and Austin. 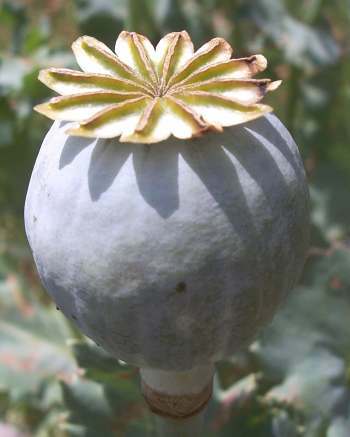 Most who have it are unaware it is the source of opium. Law enforcement agents must be unaware as well, since we don't see any grandmothers or spinster aunts rotting in the federal gulag, convicted of merely possessing it. 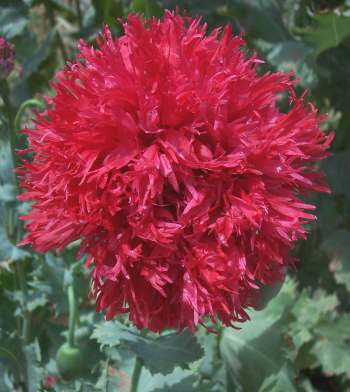 Grown for the edible poppy seeds as well as the spring blooms. Needs full sun and well-drained soils. Sow in September and provide water every two weeks during a dry winter. Many varieties are known, ranging from white to pink, red or purple, both single and double flowered. All are deer-proof and very easy-to-grow.